Happy Friday! The sun is shining, the air is crisp and there is a lot of fun to be had in Chattanooga this weekend. We have had a very damp winter with mild temperatures, so the brief cold snap is welcome. This weekend is a good weekend to get out and enjoy Chattanooga it all its winter glory. Here are your best bets. This year is the 6th year of the Lookout Wild Film Festival which brings outdoor and conservation short films to the Chattanooga area and draws visitors from all over the southeast for the weekend. Since Chattanooga is an epicenter of outdoor recreation including climbing, hiking, white water, cycling and flat water paddle, it makes sense the festival makes its home here. Films cover everything from hiking in Norway to women firefighters in California. Thursday-Sunday, The Tivoli, Tickets can be purchased online and schedule of films and the “after party” acts are located here. Cold weather calls for chili and Saturday, you can enjoy chili from some of the best restaurants in town at the West Village Chili Cook Off. Judged by the Chattanooga Fire and Police Departments, 12 restaurants will compete for the title of Best Chili In Chattanooga. $5 wristbands offer spectators a chance to sample chili from restaurants such as Citron Et Sel, Bald Headed Bistro, The Read House and Chattanooga Brewing Company. All proceeds benefit the Forgotten Child Fund. Saturday, 12:30-4 pm. Chestnut and 8th Street. More info here. Small business owner, entrepreneur, artist and crafters can join together this weekend to get pointers, hear experience and learn more about small business ownership this weekend. Leaders in small business join together to discuss community investment, entrepreneurship, tools and the process in general of small business ownership and startup. Held at the Chattanooga Library, this event features keynote speaker Nick Lutsko along with other socially minded business owners and is free to the public. RSVP to attend. 9am-1 pm Saturday. 1001 Broad Street. Hiking in and around the Chattanooga area is truly some of the best and easiest to get to, thanks in part to the Chattanooga valley’s surrounding terrain. This Saturday, you can join in on the first hike of the Cumberland Trail series, which is 9 short hikes, each 5-7 miles. The single track trail is challenging, but definitely attainable. These guided hikes are a great way to learn more about the area, make new friends and explore the beautiful trails of the Cumberland Gap. Cost is free, but space is limited in the shuttle vehicle. To register, call 423-643-6888 10-3pm. 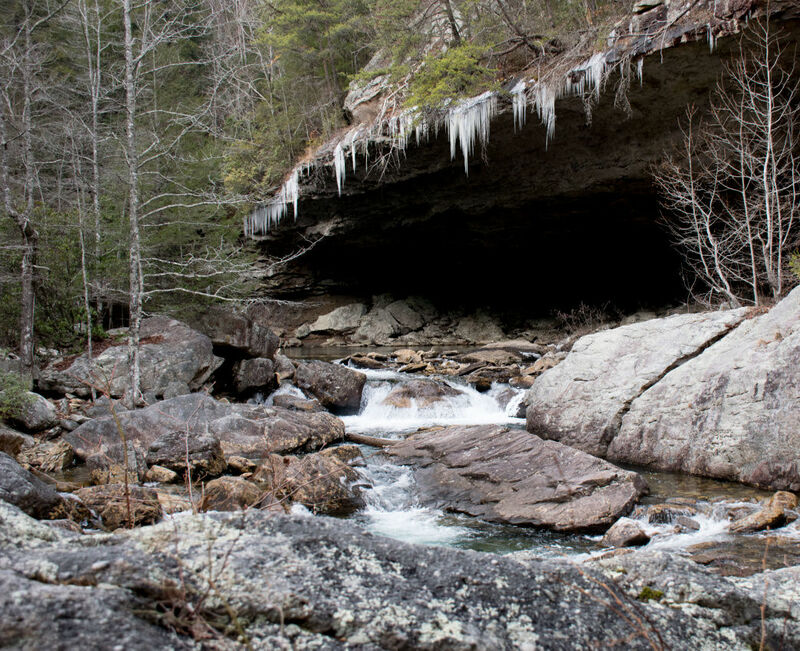 We hope you have an amazing weekend, enjoying the winter beauty that is all around us in Chattanooga. If you are visiting Chattanooga and need a place to stay, we recommend VRBOChattanooga.com .